Toshiba has unveiled a new application processor designed for wearable technology. The TZ1001MBG, part of Toshiba's ApP Lite family, comes with a processor, memory, sensor, and wireless communication function, providing the essentials for any small-scale Internet of Things (IoT) device. The chip includes an embedded ARM Cortex-M4F processor with DSP and floating point processing unit, which can handle data from multiple sensors. It packs in a tiny 8MB of flash memory, but wearable tech is all about size, not power. It can pick up signals from external analogue devices, including pulse wave and electrocardiogram, and turn those into digital data, making it perfect for the likes of healthcare monitors. It also includes integrated Bluetooth Low Energy controller and an RF circuit, to allow data to be transferred from a wearable device to a smartphone or tablet. 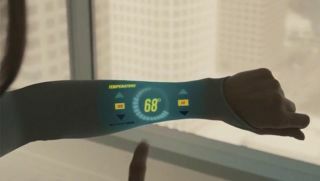 Wearable technology has become the key tech trend for 2014, with Google announcing Android Wear, Intel offering its Edison computer, and Ingenic touting its Newton chip. The market is expected to outperform traditional electronics by 2019. Samples of the processor will be available in May, with mass production set for September. What is the best wearable tech for you?